Previously: Who Is Changing The Doctrine? I have two big announcements to make before this month is over (Well, big for me, anyway.) The first is that my book is finished and now available at Amazon, and the good news is it's incredibly cheap. Did I say "cheap"? I mean "my book is inexpensive." It lists for Fifteen bucks, but Amazon has it currently discounted. So my loss is your gain. I'd get it now if I were you before the price goes up. I designed this book partly with your mother-in-law in mind. If you have friends and loved ones who don't 'get' you, who are convinced that you can't be a faithful member of this church without displaying the requisite deference to modern Church leaders, this book may help those close to you come to understand that Jesus Christ does not require anything like that from members of His church. 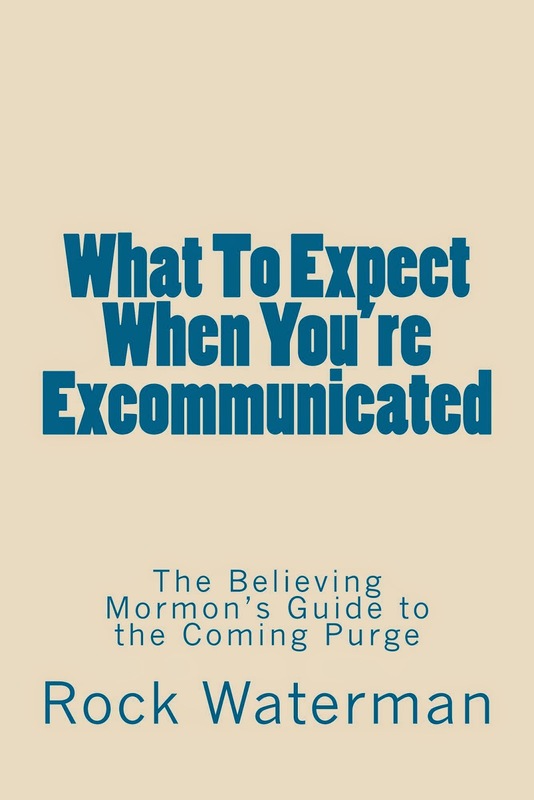 "What To Expect When You're Excommunicated"
Through a series of miraculous occurrences, Connie and I, who normally abide in far off Sacramento, California, have suddenly found ourselves in Utah. We are the grateful recipients of the hospitality of strangers who looked at me and said, "Say, weren't you that groovy looking guy whose photo was in the New York Times? Please stay with us and partake of our vittles." So here we are, and I've been invited to participate in the Sunstone Symposium on Saturday August 2nd on the panel discussing "Moderating Mormons in Cyberspace." That panel will convene at 11:00 am Saturday, but I'll be present at the symposium for all three days beginning Thursday, July 31st, so please come up and say hi to me. I've come to know so many of you online, and I wish there were an opportunity to meet with at least some of you face to face, but alas, because of time constraints and other obligations, pretty much the only chance it looks like I'll have to meet my friends will be at the Symposium that weekend, so if you can't make the entire weekend, I hope you'll at least come for Saturday. After the program concludes that evening, there will be an informal After-Party Saturday night from 7-11 pm. The address is 1444 Yale Ave, which is 1050 South in Salt Lake City. Bring along snacks or drinks to share, and let's get acquainted. I wish I could tell you I'll have some of my books with me, but alas, it will take too long to get them shipped here. The Symposium will be over before they even arrive. The only way I had of getting a copy of my own was to buy one through Amazon Prime last night so I'd have it here in two days. So I had to pay almost full price for my own book. But at least I'll have one to show. The book just went on sale yesterday, and this morning I pulled up my account at Createspace, Amazon's printing arm, just to make sure everything was in order, and I saw that I had made my first sale! I can't tell you the feeling of seeing that someone had purchased the first ever copy of my book! I wondered who it was? After a few minutes, though, I realized it was me. That was the record of the book I had just bought for myself last night. So my enthusiasm was short-lived. On the other hand, I just earned myself a couple bucks royalty, so maybe I should buy a few more. My new friend Bill Shepard, co-author with Michael Marquardt of the book "Lost Apostles: Forgotten Members of Mormonism's Original Quorum of the Twelve" will be holding a book signing with Mike at Ken Saunders Books, 268 S 200 E in Salt Lake City at 6 Pm this Tuesday. 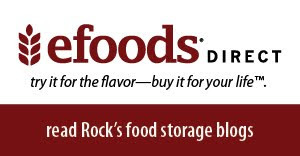 801-521-3819 is the phone number at the store. Believe me when I tell you that you need this book! I quoted from it in my own book,and Andrew Hamilton, in his review for the Association of Mormon Letters, calls it "one of the most important works of historical biography in the Joseph Smith Restorationist movement from the last 10 years." I agree, though I'd make that an even dozen years. So if you can, come and meet both the authors (they're also presenting at Sunstone); and I hear Todd Compton and Michael Quinn may both be there also, so I'm going. Last month after I had already posted my last blog entry, I was interviewed by Paul Duane at K-Talk Radio in Salt Lake City, and also by Heather Clarkson of Mormon Expositor. If you're one of those people who never seems to get enough of hearing me talk (Hi, Mom! ), you can access those interviews below. The actual interview isn't easy to find on the page. Scroll down to where you see the band that reads "Play in New Window" or "Download." So, in conclusion, don't forget: 1. Come to the Sunstone Symposium, and 2. Buy my book. Please buy my book. Connie and I are counting on your purchases to provide us the gas money to get back home to Sacramento. Seriously, it's too hot out here in Zion. Update: I forgot to credit my friend Ron Pedersen who insisted on writing the back cover notes. He calls me "cheeky."